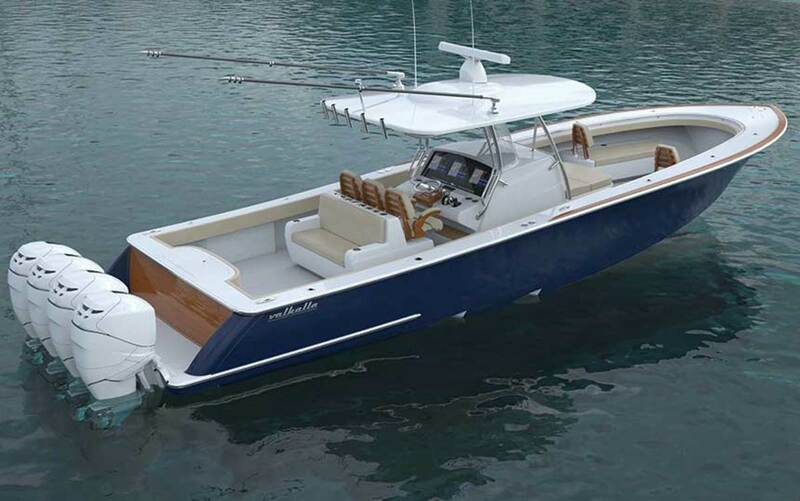 Hard-core anglers, take note: Viking Yachts, the New Jersey builder of sportfishing convertibles and motoryachts from 37 to 93 feet, has announced a new brand of luxury center consoles called Valhalla Boatworks. 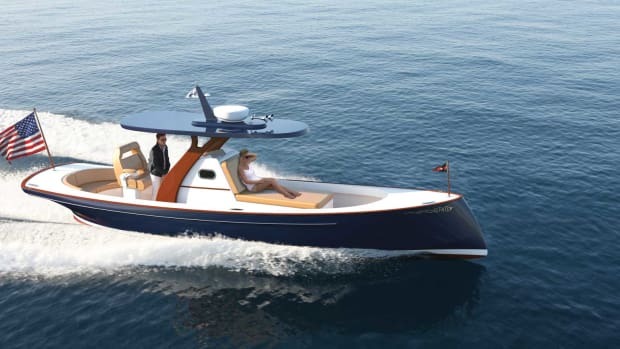 Michael Peters Yacht Design. 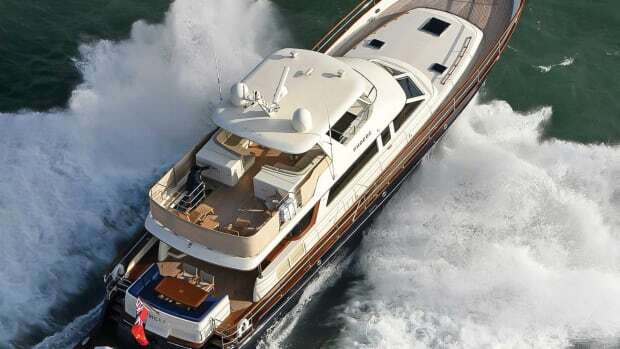 According to Viking, the stepped-V ventilated tunnel running surface will reduce drag while increasing speed, stability and efficiency. 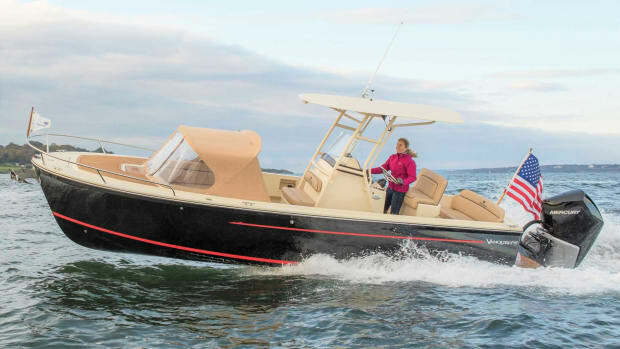 “The twin steps and tunnel not only give you fast and efficient performance, but also precise handling and a very stable ride,” says Viking Design Manager David Wilson. 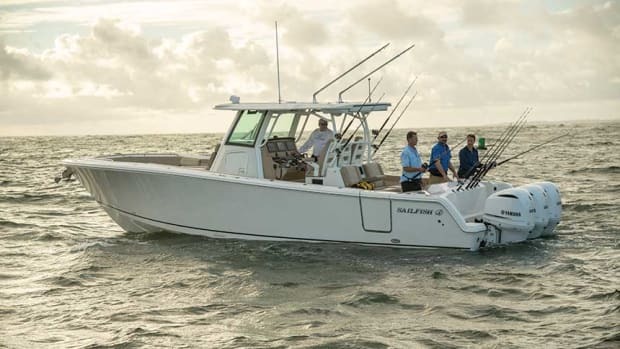 The V-33, V-37 and V-41 are expected to have four-stroke outboards with horsepower ratings from 300 to 425 in twin, triple or quad configurations. 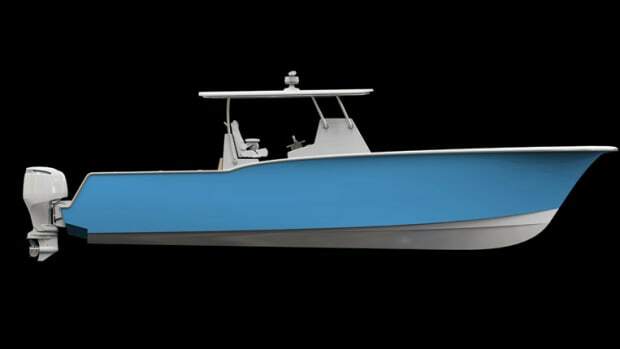 Each boat will have raised transom live wells, in-deck fish boxes, rod holders, dive doors and more. 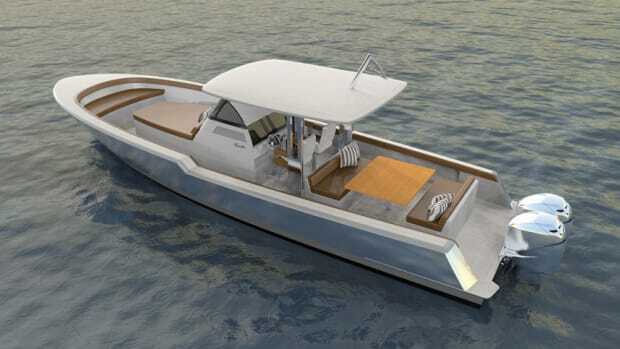 The consoles will be fitted with rod stowage, a plumbed head and a sink. 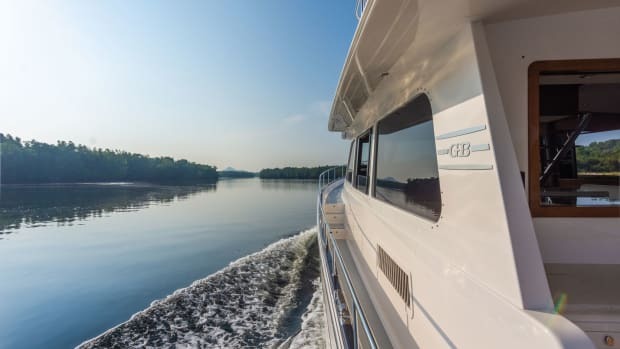 Viking says the full Valhalla model lineup will be unveiled this fall at the company’s annual dealer meeting to be held in Atlantic City, New Jersey.